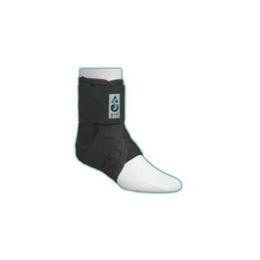 The ASO EVO ankle stabilizer is an evolutionary strep forward in ankle protection with its unique stabilizing straps and dynamic cuff. The ASO EVO has all the benefits of the original ASO plus the addition of an inner stirrup strap that provides greater resistance to inversion or eversion, and a dynamic cuff that enhances stability and support. 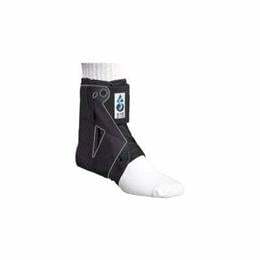 The new design enables the ASO EVO to comfortably provide exceptional ankle support and stability in the treatment of ankle injuries and to reduce the severity and frequency of future ankle injuries. Ballistic nylon boot provides tremendous strength and durability.